Varying foods have varying impacts on the human body, and the impact that sugar has is an especially fattening one. There are two molecules that make up both sugar (also known as sucrose) and high fructose corn syrup. Those molecules are fructose and glucose. Glucose is an enormously important element of the metabolism and crucial to our life. Our bodies create it. There is always a supply of glucose in our blood and all of the body's cells are able to metabolize glucose for their energy needs. When our diet does not contain an adequate amount of glucose our bodies will make what they need from its stored fats and proteins. On the other end of the spectrum is fructose. Fructose is a molecule that isn't a normal aspect of human metabolism; our bodies do not make it. Almost exclusively, it's only our liver cells that can use it. When our diet contains high amounts of sugar, the liver metabolizes the majority of fructose we consume where it's converted to fat and released into our bloodstream. Do you know what insulin is? 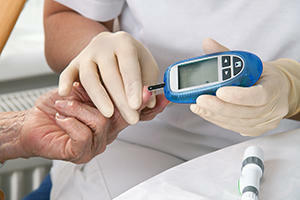 Insulin is an important hormone that regulates the body's metabolism and use of energy. Secreted by the pancreas, insulin then moves through the blood. When it gets to muscle cells it sends a message telling them they ought to put glucose conveyors on their surface. By doing this, insulin catalyzes a process which results in the uptake of glucose into the muscle cells so that it can be used. Without this process, you'd have an overdose of glucose in your blood. Consuming a meal high in carbohydrates causes levels of glucose to rise to help relocate the glucose into the cells from the bloodstream. In healthy individuals, this process enables them to consume high amounts of carbs without worrying about blood glucose reaching a toxic level. But sometimes, though, this process doesn't work. Cells resist the impact insulin has, causing the pancreas to have to secrete more insulin to move glucose into the cells. If someone becomes resistant to insulin, then more insulin will always be in their blood. This will happen until their whole system breaks down, which results in type II diabetes. Insulin can do more than just move glucose to the cells. It also messages our fat cells to take fat out of the bloodstream and store it. When the body's levels of insulin are continually inflated, a lot of energy in the bloodstream gets stored in the fat cells. Here's the punchline: Too much fructose leads to both resistance to insulin and high levels of insulin in the bloodstream. When this occurs, it is difficult for the body to access the fat it has stored. When this happens, our brain begins to believe we are hungry, so we eat. Fructose causes weight gain because of the impact it has on leptin. Leptin is a hormone that is secreted by fat cells. The larger the fat cells, the greater the amount of leptin they secrete. This is how your brain decides how much stored fat the body has. Every time we consume food, a portion of it is stored in fat cells. As this continues to happen, these cells grow larger and secrete higher amounts of leptin. Higher amounts of leptin cause the brain to think that the body has an adequate amount of stored fat, so there is no reason to eat. This clever feedback process keeps us from feeling hungry. It results in our feeling less hungry and, theoretically at least, to consume smaller amounts of food. This mechanism is meant to keep our bodies safe from obesity. In simple terms, more fat results in more leptin. More leptin means we have good amounts of stored energy, which means we have no reason to eat. Raised levels of leptin also cause the excretion of more fat from the stored fat. This brings up the rate of the metabolism. This is the way the system is meant to work. However, should the brain start to become leptin resistant, it does not work correctly. When the brain cannot register the leptin, our body doesn't realize that our fat cells don't need any more fat and there is no message to the body that it's had enough food. In simple terms again, lower (perceived) levels of leptin indicate there isn't enough stored energy, which means our bodies will consume want to ingest more food and use less stored fat. So resistance to leptin begins the process of making us fat because the brain starts to believe that the body is famished, needs to consume more food and use less energy. Self-discipline is not a solution for the starvation message motivated by leptin resistance. In fact, using willpower against it is almost impossible. Because of this, the advice of "eat less, move more" doesn't work for all people. For us to consume less food, we must lose the resistance to leptin so our brain can register the amount of fat our body has stored. And guess what? Yep, a diet that contains large amounts of fructose can lead to leptin resistance. Fructose makes triglyceride levels higher. This stops the transfer of leptin to the brain from the blood. This is the way that too much sugar messes up the body fat "thermostat". It causes the brain to believe we need to eat more food. The way the brain and the body manage food consumption is tremendously involved and includes lots of neural circuits and hormones. All of these signals are translated in an area of the brain called the hypothalamus, which happens to be the locale where leptin -- along with a variety of other neurons and hormones -- functions. A study in 2013 looked at the impact of fructose versus glucose on food consumption and satiety. In this study, twenty healthy volunteers were given a drink that was either sweetened with fructose or glucose. Their brains were then scanned and they were asked many questions. The results showed that those who consumed the glucose-sweetened drink had lower blood flow and activity in the hypothalamus while the fructose drinkers didn't. Those who drank the glucose drink were not as hungry and far more satisfied than those who consumed the fructose drinks. This study points to the fact that even though the two drinks contained the same amount of calories, the drink sweetened by fructose didn't bring about as much satisfaction. An additional essential hormone is ghrelin which helps increase appetite. A different study concluded that fructose doesn't lower ghrelin levels as much as glucose does. These two studies insinuate that fructose leaves you feeling less full than glucose does, regardless of calorie content, meaning fructose can make you eat more than glucose will. Consuming sugar results stimulates the brain's reward centers in a way that is very similar to what happens when addictive drugs are consumed. Evidence from studies points to the fact that sugar is extremely addictive. It seems sugar impacts the same neural pathways as substances of abuse. Some people have a predisposition to addiction, and for them, the impact of the neural pathways from sugar can result in a dangerous situation. 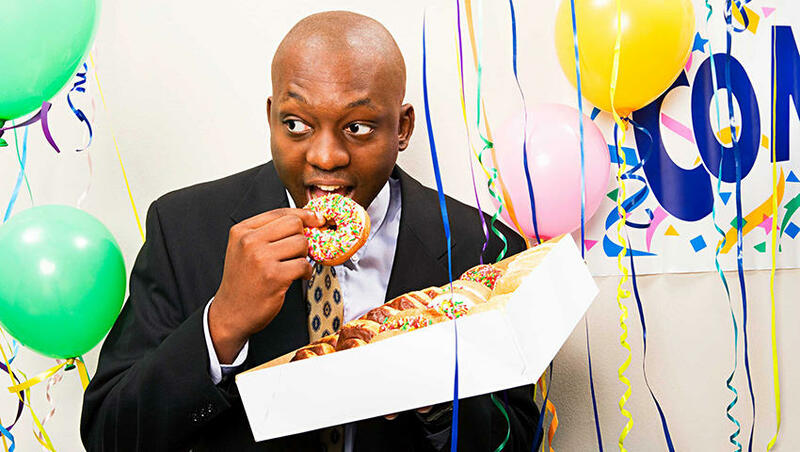 People who have intense cravings for sugar, who aren't able to stop eating sugar or at least lower the amount they consume no matter what the physical penalties, are sugar addicts. Fructose brings about resistance to insulin. It also raises levels of insulin, which results in an increase of fat placed in our fat cells. Fructose causes leptin resistance, resulting in the brain being unable to register the fact that the body's fat cells are full, leading to overeating and lowered fat burning. Fructose doesn't leave you satisfied and it doesn't bring down the levels of ghrelin (the appetite signaller). It does not lower blood flow in the system of the brain that sends hunger signals, and it increases food consumption. 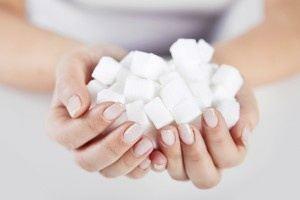 Because of its strong impression on the reward system, sugar brings about addictions in some people. This causes intense reward-seeking actions that raise food consumption. Taking a supplement such as moringa or garcinia cambogia can help reduce weight gain and also help suppress your appetite by allowing the brain to produce more chemicals to ward off hunger. A lot of people view sugar as simply "empty" calories. This could not be more wrong. Empty calories are only the beginning. Sugar is a primary reason for obesity.